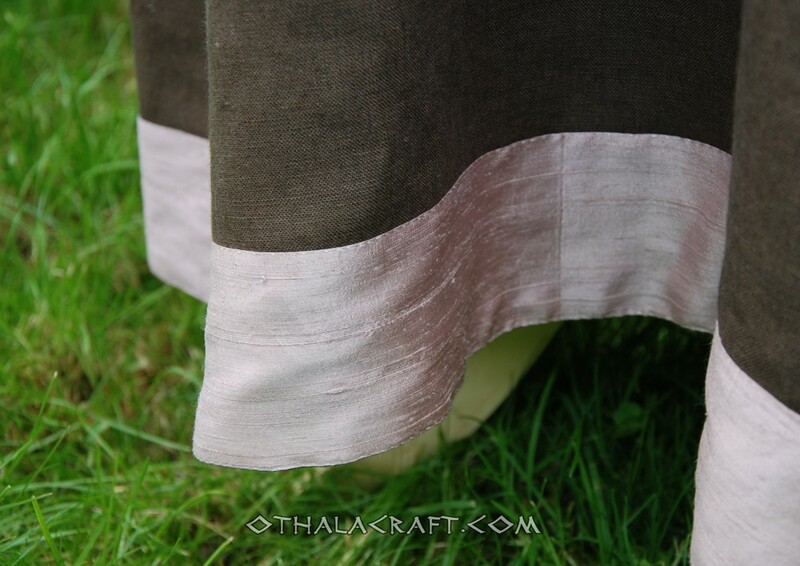 Dress made from 100% linen in dark brown color. Simple geometric cut based on a T shape, with a light undercut in the armpit. The sleeves narrow towards the wrist. The dress has two wedges; one at each side. The cut of dress is based on found from Haithabu (Hedeby). 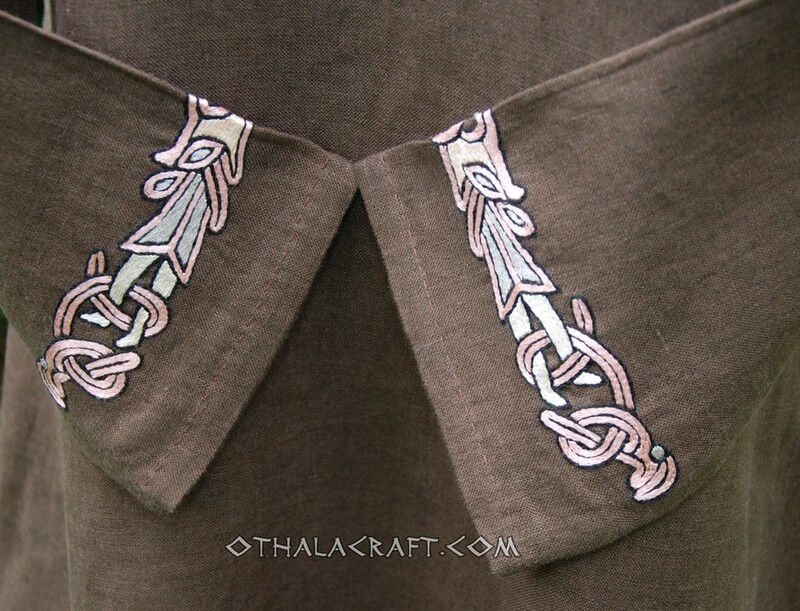 Every visible stitch is hand made with a linen thread, inside stitch are machine. Half circle undercut under the neck. In front of the dress and on cuffs are hand made embroideries, made with silk threads, sized 4 cm x 27 cm. The embroidery’s motif is in Mammen style, found on horse collar. 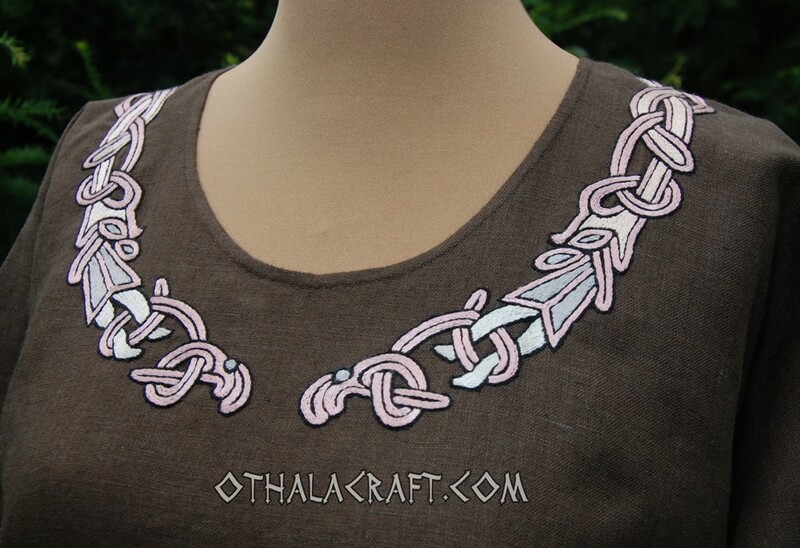 Lower edge is decorated with light rose, 100% silk. 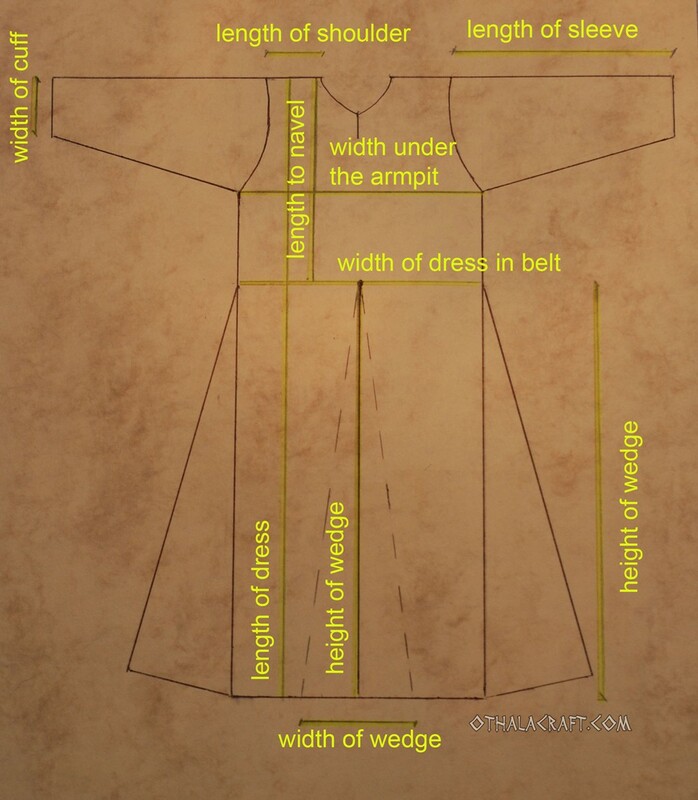 Size: length of dress 148 cm, width under the armpit 50 cm x 2, width in belt 53 cm x 2, width in hips 55 cm x 2, length of sleeves 62 cm, width of sleeves 16 cm.